Muon Hunters 2: Return of the Ring, launches new Zooniverse citizen science project on March 14th, 2019. After achieving highly successful results with their citizen science project, Muon Hunters, in 2017, scientists from the VERITAS (Very Energetic Radiation Imaging Telescope Array System) gamma-ray observatory—a part of the Center for Astrophysics | Harvard & Smithsonian at the Fred Lawrence Whipple Observatory in Amado, Arizona, USA—collaboration are once again asking the public for help in identifying hundreds of thousands of ring patterns produced in the cameras at VERITAS. Scientists use VERITAS to study gamma rays—the most energetic radiation in the universe—in order to explore the most exotic and extreme processes and physical conditions in space, like black holes, supernovae, and pulsars. Like the original project, Muon Hunters 2: Return of the Ring, will engage citizen scientists to identify patterns from muons—elementary particles like electrons, but heavier—and distinguish them from those produced by gamma rays, which the telescopes are designed to detect. New to Muon Hunters 2 is the manner in which data will be presented to citizen scientists. Muon Hunters 2 will present images in a grid pattern, rather than individually, to bring additional efficiency to the project. 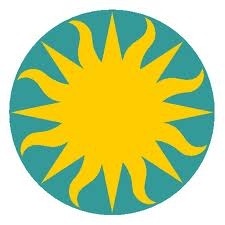 Muon Hunters 2: The Return of the Ring, is run by Zooniverse, the largest online platform for collaborative volunteer research, in conjunction with VERITAS. Citizen science projects at Zooniverse allow researchers to efficiently and effectively comb through large amounts of complex data utilizing the enthusiastic efforts of millions of volunteers from around the world. Other current Zooniverse projects include Snapshot Safari, in which volunteers identify wildlife to help scientists understand the diversity and dynamics of wildlife populations across the African continent. Citizen scientists can become Muon Hunters here. VERITAS (Very Energetic Radiation Imaging Telescope Array System) is a ground-based array of four, 12-m optical reflectors for gamma-ray astronomy located at the Center for Astrophysics | Harvard & Smithsonian, Fred Lawrence Whipple Observatory in Amado, Arizona. 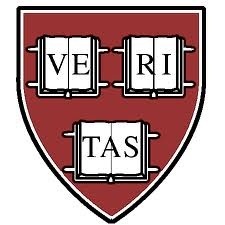 VERITAS detects gamma rays via the extremely brief flashes of blue “Cherenkov” light they create when they are absorbed in the Earth’s atmosphere. Muon Hunters is a citizen science-based data collection and identification project led by the University of Minnesota and Zooniverse. 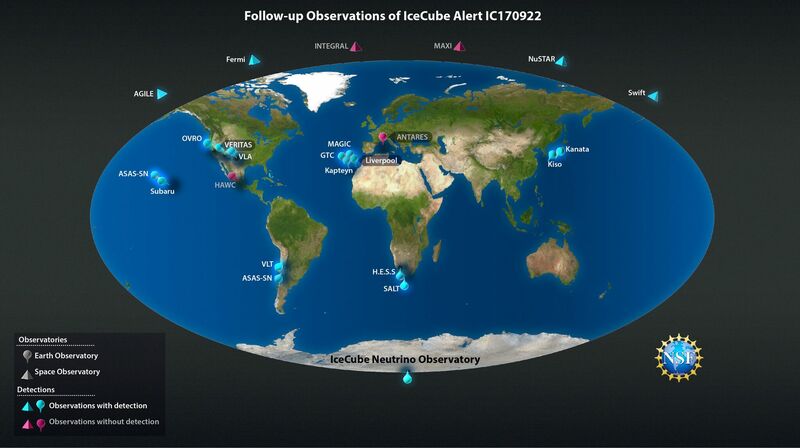 The project receives data from VERITAS telescopes and direct support from specific VERITAS collaborating institutions including the University of California-Los Angeles; University of California-Santa Cruz; McGill University, Canada; Deutsches Electron-Synchrotron Laboratory, Berlin, Germany; Barnard College/Columbia University; Cal State University – East Bay; University College Dublin, Ireland; and the Center for Astrophysics | Harvard & Smithsonian. In addition, Muon Hunters is supported by the ASTERICS program of the European Union. Heather Crawford has always had a natural bent for science. When she was a high school student in her native Canada, she took all the science electives within reach without a second thought. She went into college thinking she would study biochemistry, but that all changed when she took her first class in nuclear science – the study of the subatomic world. Her professors noticed her talent for nuclear chemistry, and soon she found herself working as an undergraduate researcher in nuclear science at TRIUMF, the accelerator facility in Vancouver, Canada. Today, Crawford is a staff scientist in the Nuclear Science Division at the U.S. Department of Energy’s Lawrence Berkeley National Laboratory (Berkeley Lab). With funding from an Early Career Laboratory Directed Research and Development (LDRD) award announced last year, she and her team of researchers have been developing a prototype for an ultrahigh-rate high-purity germanium (HPGe) detector that can count 2 to 5 million gamma rays per second while maintaining high resolution, allowing them to accurately measure the energy spectrum under extreme conditions. A conventional HPGe detector loses resolution when it goes above 50,000 counts per second. Gamma rays hail from nuclear decays and reactions within neutron stars, supernova explosions, and regions around black holes. But they also have origins here on Earth: Gamma rays are generated by radioactive decay, or reactions in nuclear power plants, for example. Their ubiquity thus serves as an all-purpose clue for solving wide-ranging mysteries, from tracking down isotope “fingerprints” of elements in stars, to assessing the impact of a nuclear power plant disaster. Crawford said that the ultrafast, high-resolution detector will allow scientists to do more research in less time, collecting gamma-ray statistics at 10 to 100 times the rate previously possible. This opens up new possibilities for gamma-ray spectroscopy in the rarest nuclear systems, such as superheavy elements. “Whenever you’re doing gamma-ray spectroscopy, it’s about resolution and efficiency – ideally, you want an experiment to run for a couple of weeks, not years,” she added. With the design for the small yet mighty detector finalized last month – the device measures just 3 inches wide and 3 inches tall – Crawford and her team look forward to testing the prototype, which was fabricated at Berkeley Lab’s Semiconductor Detector Laboratory, as an individual detector, and then moving toward an array. “This LDRD gave us a unique opportunity to gain a deeper understanding of how germanium detectors work. Berkeley Lab has always been at the forefront of physics and nuclear science. If our prototype works, we will continue to move forward and push the science of both HPGe detectors and heavy elements,” she said. The High Energy Stereoscopic System (HESS) – an array of five telescopes located in Namibia in operation since 2002 – was the first large ground-based telescope capable of measuring TeV photons (followed shortly afterwards by the MAGIC observatory in the Canary Islands and, later, VERITAS in Arizona). To celebrate its 15th anniversary, the HESS collaboration has published its largest set of scientific results to date in a special edition of Astronomy and Astrophysics. Among them is the detection of three new candidates for supernova remnants that, despite being almost the size of the full Moon on the sky, had thus far escaped detection. See the full article here. .
NASA – Swift Mission patch. Observations by NASA’s Swift spacecraft, now renamed the Neil Gehrels Swift Observatory after the mission’s late principal investigator, have captured an unprecedented change in the rotation of a comet. Images taken in May 2017 reveal that comet 41P/Tuttle-Giacobini-Kresák — 41P for short — was spinning three times slower than it was in March, when it was observed by the Discovery Channel Telescope at Lowell Observatory in Arizona. The abrupt slowdown is the most dramatic change in a comet’s rotation ever seen. Swift Mission Catches a Comet Slowdown. NASA’s Swift satellite detected an unprecedented slowdown in the rotation of comet 41P/Tuttle-Giacobini-Kresák when it passed nearest to Earth in early 2017. Watch to learn more. Video Credits: NASA’s Goddard Space Flight Center. As a comet nears the Sun, increased heating causes its surface ice to change directly to a gas, producing jets that launch dust particles and icy grains into space. This material forms an extended atmosphere, called a coma. Water in the coma quickly breaks up into hydrogen atoms and hydroxyl molecules when exposed to ultraviolet sunlight. Because Swift’s Ultraviolet/Optical Telescope (UVOT) is sensitive to UV light emitted by hydroxyl, it is ideally suited for measuring how comet activity levels evolve throughout the orbit. Image above: On March 14, 2017, two weeks before its closest approach to Earth, comet 41P/Tuttle-Giacobini-Kresák glides beneath the galaxy NGC 3198. The green glow comes from light emitted by diatomic carbon molecules. Image Credits: Copyright 2017 by Chis Schur, used with permission. Ground-based observations established the comet’s initial rotational period at about 20 hours in early March 2017 and detected its slowdown later the same month. The comet passed 13.2 million miles (21.2 million km) from Earth on April 1, and eight days later made its closest approach to the Sun. Swift’s UVOT imaged the comet from May 7 to 9, revealing light variations associated with material recently ejected into the coma. These slow changes indicated 41P’s rotation period had more than doubled, to between 46 and 60 hours. UVOT-based estimates of 41P’s water production, coupled with the body’s small size, suggest that more than half of its surface area contains sunlight-activated jets. That’s a far greater fraction of active real estate than on most comets, which typically support jets over only about 3 percent of their surfaces. Such a slow spin could make the comet’s rotation unstable, allowing it to begin tumbling with no fixed rotational axis. This would produce a dramatic change in the comet’s seasonal heating. Bodewits and his colleagues note that extrapolating backward suggests the comet was spinning much faster in the past, possibly fast enough to induce landslides or partial fragmentation and exposing fresh ice. Strong outbursts of activity in 1973 and 2001 may be related to 41P’s rotational changes. A less extreme relationship between a comet’s shape, activity and spin was previously seen by the European Space Agency’s Rosetta mission, which entered orbit around comet 67P/Churyumov-Gerasimenko in 2014. The comet’s spin sped up by two minutes as it approached the Sun, and then slowed by 20 minutes as it moved farther away. As with 41P, scientists think these changes were produced by the interplay between the comet’s shape and the location and activity of its jets. NASA’s Swift spacecraft has conducted a broad array of science investigations for 13 years — monitoring comets, studying stars hosting exoplanets, and catching outbursts from supernovas, neutron stars and black holes — and it continues to be fully operational. 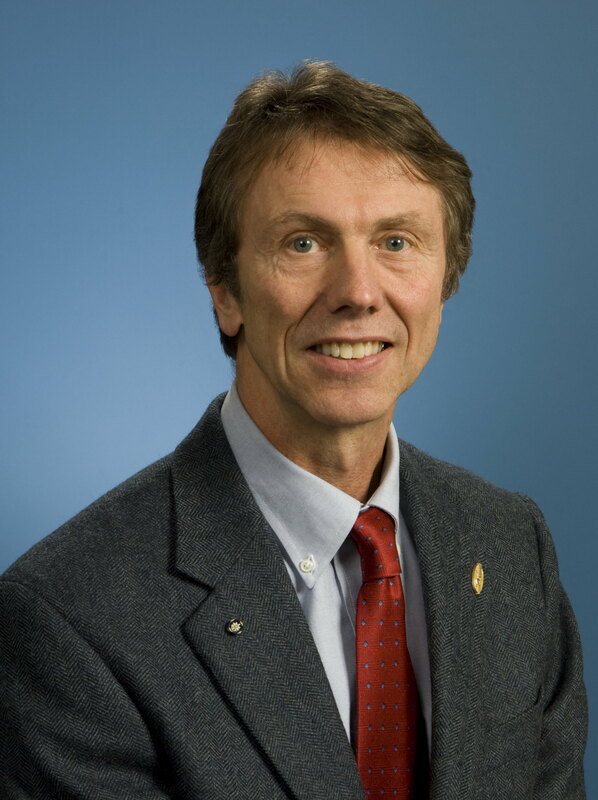 NASA announced at the AAS meeting that the mission has now been renamed in honor of Neil Gehrels, who helped develop Swift and served as its principal investigator until his death on Feb. 6, 2017. Video above: Neil Gehrels talks about his adventures in astrophysics in this talk given at NASA’s Goddard Space Flight Center in 2015. Video Credits: NASA’s Goddard Space Flight Center Library. Swift’s rapid scheduling capability, plus a trio of telescopes covering optical to gamma-ray wavelengths, continues to deliver important contributions in the study of gamma-ray bursts — the most powerful explosions in the universe — while maintaining a critical role in monitoring how astronomical objects as diverse as comets, stars and galaxies change over time. Image above: NASA’s Swift spacecraft, now renamed the Neil Gehrels Swift Observatory after the mission’s late principal investigator, has become the go-to facility for rapid-response, multiwavelength follow-up of time-variable sources. This illustration highlights the diversity of Swift’s work, which ranges from comets in our solar system to observations of variable sources in our galaxy and beyond. Image Credits: NASA’s Goddard Space Flight Center. Video above: The Dan David Prize compiled this video tribute to Goddard’s Neil Gehrels, who was posthumously named a 2017 laureate. Video Credits: Dan David Prize. The Crab Nebula is one of the best-studied astrophysical objects of all time and shines across the whole accessible electromagnetic spectrum, from radio wavelengths up to very high energy (VHE, E > 100 GeV*) gamma-rays (, ). It is powered by the Crab Pulsar, a fast-rotating neutron star (period P = 33 ms) possessing an ultra-strong magnetic field. It was created during a supernova explosion seen in the constellation Taurus in 1054 A.D. A part of the rotational energy of the Crab Pulsar is converted into electron-positron pairs, forming a pulsar wind. The electrons and positrons are shocked and accelerated to ultra-relativistic energies at the wind termination shock. These high-energy particles propagate outwards and lose energy via the emission of synchrotron and Inverse Compton (IC) radiation resulting from interactions with magnetic and photon fields, respectively. The synchrotron radiation ranges from the radio regime up to around 1 GeV, and its emissivity depends on the density of high-energy particles and the strength of the magnetic field. Thus, the spatial extent of the synchrotron emission is determined by a convolution of the local electron distributions with the magnetic field, where the latter is expected to vary significantly through the nebula. The second important emission mechanism is IC scattering: Energetic electrons and positrons can transfer a fraction of their energy onto photons thereby transforming these to high-energy and VHE gamma-rays. In the case of the Crab Nebula, the dominant target photon field is the synchrotron emission of the nebula itself, generated by the same particle population. This photon field is expected to be more homogeneous than the magnetic field. Thus the IC emission can be taken as a much more reliable tracer of the distribution of relativistic electrons, revealing more about the underlying physics of one of the Milky Way’s most prominent and interesting particle accelerators. Fig 1: Top: Distribution of gamma-ray candidates from the Crab Nebula (Data ON) together with background events (Data OFF) as a function of the squared distance to the source position. The simulated PSF and the PSF convolved with the best-fit Gaussian are shown for comparison as well. Bottom: Significance of the bin-wise deviation (MC – Data) of the measured events when compared to the PSF (black) and the convolved one (orange). 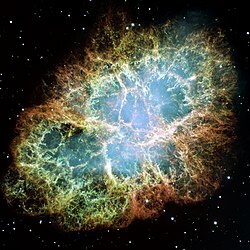 Until now, the morphology of the Crab Nebula has only been resolved with radio, optical, and X-ray telescopes, up to photon energies of around 80 keV [1,3]; at higher energies, no extension could be measured mainly due to the worse angular resolution of the corresponding instruments. For telescopes like H.E.S.S., the expected size of the Crab Nebula is several times smaller than the point spread function (PSF**). In such a case, the intrinsic extension of the source only leads to a slight broadening of the signal as compared to the PSF, which itself however strongly depends on the actual observation and instrument conditions. For the first time, we employ simulations that take into account all these conditions and thus lead to a considerably improved PSF description . This allows to probe source extensions well below one arcminute***, which corresponds to a new level of resolving source sizes in VHE gamma-ray astronomy. Here we used 25.7 hours of high-quality observations of the Crab Nebula, taken with all four of the small telescopes of H.E.S.S. 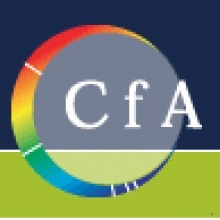 The analysis settings were chosen to achieve a good PSF; for this source and observation conditions, 68% of the gamma-rays from a point source are reconstructed within 0.05° (3 arcminutes) of the source direction. The distribution of events from the Crab Nebula as a function of the (squared) distance to the source is shown in Figure 1 (blue crosses). For comparison, the PSF is shown as well (black) and is obviously highly inconsistent with the data, where the probability for consistency of the two distributions amounts to merely around 10-14. The broadening of the data distribution with respect to the PSF can only be explained when assuming an intrinsic source extension. The PSF was iteratively convolved with a Gaussian source model of different width. The extension is obtained by comparing the compatibility of the data and the convolved PSF each time, and the best-fit extension is found to be σCrab = 52.2” ± 2.9” ± 7.8”sys. This Gaussian width σCrab corresponds to 39% source containment. The size of the Crab Nebula in gamma-rays has been measured for the first time and can now be put in context to its morphology seen at other wavelengths. 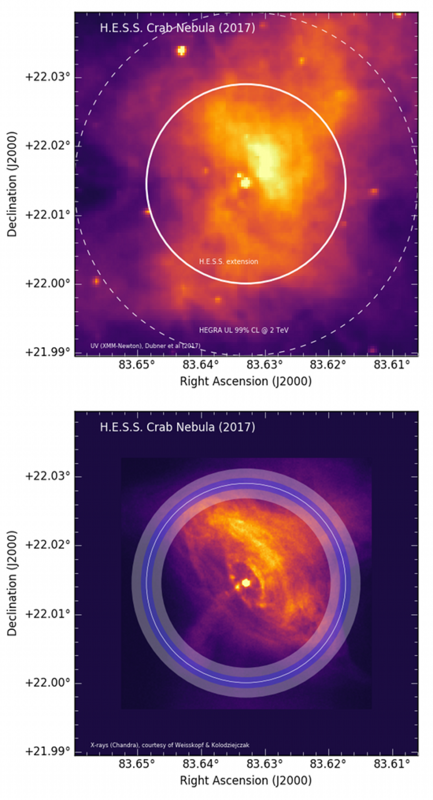 Fig 2: Extension of the Crab Nebula as seen with H.E.S.S. (solid white circles, corresponding to Gaussian width), overplotted on the UV (top) and X-ray (bottom) image. The bright dot in the middle corresponds to emission from the Crab Pulsar, whereas the inner ring around the pulsar that is visible in the X-ray image is supposed to be related to the wind termination shock (, ). For illustration purposes, the VHE extension circle is centered on the pulsar position. Our resulting Gaussian width is overplotted on images of the Crab Nebula at UV wavelengths (λ = 291 nm) and X-ray energies (0.1 – 10 keV) on the top and bottom of Figure 2, respectively. While the gamma-ray extension is obviously small compared to the optical/UV size, it is the other way around when comparing the gamma-ray to X-ray extension. This can be understood when considering the energetics of the electron population responsible for the respective emission. The X-ray emission of the Crab Nebula is confined to a smaller region than the UV emission, because the latter is mainly from electrons with E ~ 1 TeV, whereas the former, the X-ray emission, is mainly from electrons with larger energies (~ 10 TeV). Since electrons lose energy more efficiently at higher energies, a shrinking of the pulsar wind nebula with increasing energy is indeed expected. Until now, the window between UV and X-ray energies and the corresponding morphology has never been constrained observationally. Now with our new H.E.S.S. measurement, we are closing that gap by measuring the extension of the IC emission of the Crab Nebula in the range where electrons with energies of several TeV dominate. This naturally explains why the size we obtain lies in between the UV and X-ray extension. Resolving the extension of the Crab Nebula with the H.E.S.S. array is a milestone in the study of the gamma-ray sky with Cherenkov telescopes, and demonstrates the power of simulations to characterize the instrument performance, with potential applications for the upcoming CTA era. (*) 1 GeV = 109 eV and one eV (abbreviation of electron-volt) is a unit of energy which, by definition, represents the amount of energy gained by an electron when accelerated by an electric potential difference of 1 volt. (**) The PSF corresponds to the distribution of reconstructed event directions from a point source. In other words, it describes how a gamma-ray point source appears widened up the instrument. (***) One arcminute corresponds to 1/60th of 1°. An arcminute (or 1′) can be further subdivided into 60 arcseconds (60”). 1° thus equals 3600”, making it the angular equivalent of an hour. We are surrounded by undetected dark matter. In fact, our entire Galaxy is enveloped in a large halo of it, but because dark matter does not emit or reflect light, the halo is completely invisible. Inside this halo, orbiting our galaxy, are hundreds of smaller, equally invisible dark matter halos (Figure 1). The larger ones contain their own dwarf galaxies, but the smallest halos are so tiny that they contain no stars at all. However, if the leading theory of WIMP (Weakly Interacting Massive Particle) dark matter is correct, there is one way that we could actually see these dark matter halos without the help of any stars. If dark matter particles are their own antiparticle, they would annihilate when they come into contact with each other, producing various particles, including highly energetic photons known as gamma-rays. Gamma-rays have millions of times more energy than the optical photons that human eyes can see, yet these energetic particles are quite difficult to detect. The current leader in gamma-ray detection is the Fermi Gamma-ray Space Telescope, a satellite that has been orbiting the Earth, searching the sky for gamma-rays, for almost 10 years. Since Fermi was first launched, scientists have searched the gamma-ray sky for evidence of dark matter annihilation. What makes this search really tricky is that dark matter is not the only thing that produces gamma-rays. The sky is actually full of gamma-rays coming from all directions, produced by clouds of gas, pulsars, and active galactic nuclei, among many other sources (Figure 2 [not shown in article, replaced here). 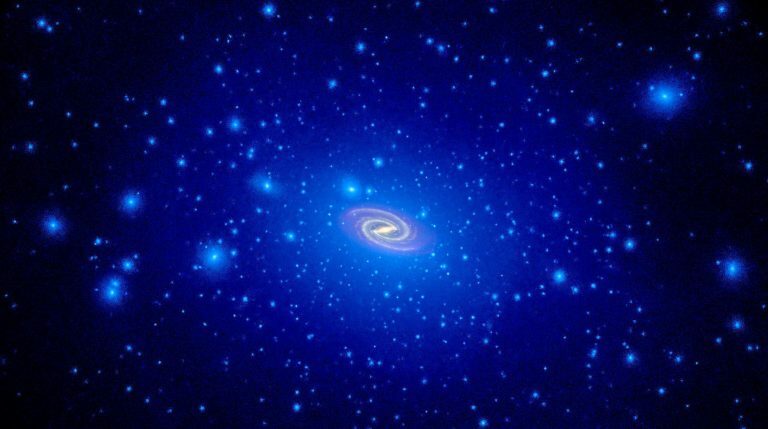 However, those tiny dark matter halos that don’t contain stars or gas or any kind of non-dark matter should only be producing gamma-rays from dark matter annihilation. 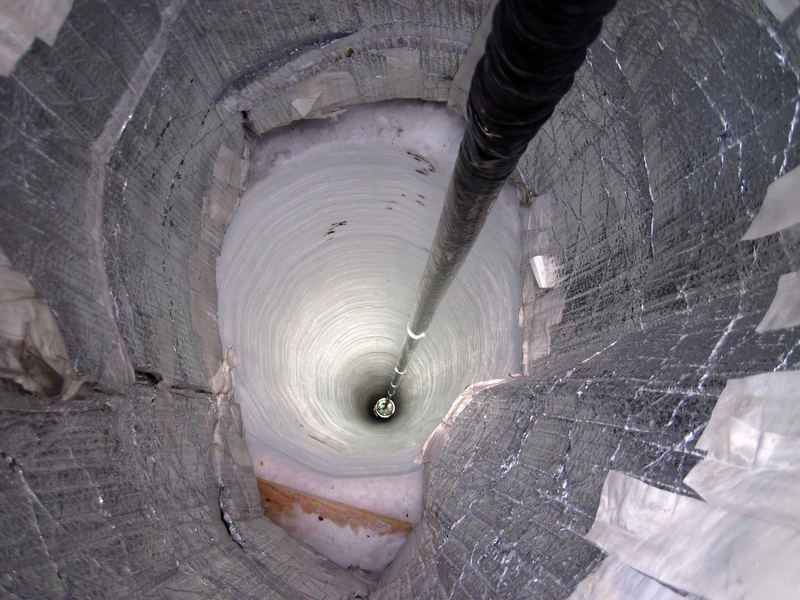 The catch is that we have no idea where these dark matter halos are. Scientists, therefore, have searched all across the sky for gamma-rays that might be coming from dark halos, and they just might have found a couple. Two sources of gamma-rays fit all the requirements – they are in the right part of the sky, do not emit any other kind of light (as you’d expect from a halo containing only dark matter), and appear to extend wider across the sky than the single point of a far away star. However, it’s impossible to tell whether these sources are really extended like a dark matter halo or whether they are just two star-like points so close to each other that they blur together, appearing to Fermi as a single blob. 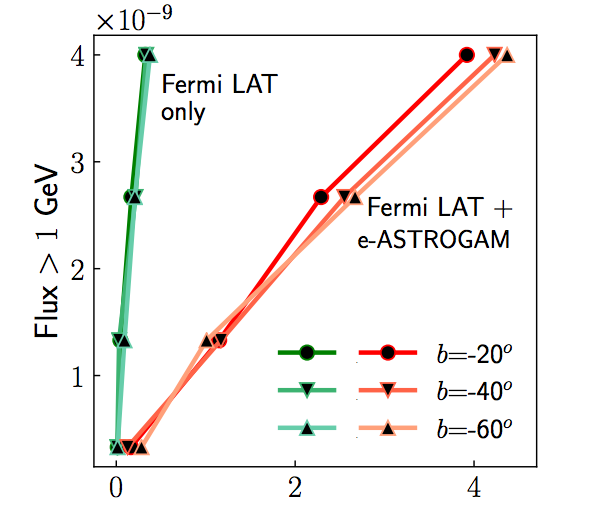 Today’s paper considers whether a proposed successor to Fermi called e-ASTROGAM (Figure 3) will be able to resolve the mystery of these gamma-ray blobs. Are they in fact dark matter halos (in which case this would be the first confirmed detection of dark matter annihilation!) or are they simply two points blurred into one? e-ASTROGAM would be quite similar to Fermi, but with several important changes. The biggest difference is that it would be able to detect gamma-rays at a slightly lower energy than Fermi, giving us a brand new view of the gamma-ray sky. In the context of today’s paper, however, the most significant difference is the angular resolution. Angular resolution determines how close together two objects can get before they blur together into a single blob. The angular resolution of e-ASTROGAM will be about 4-6 times better than Fermi’s in the energy range of these mysterious gamma-ray sources. According to the authors of today’s paper, this should definitely be enough to tell whether they are single extended objects or two independent points that are just too close together for Fermi to see (Figure 4). Figure 4. Simulated images of two point sources as seen by Fermi and e-ASTROGAM. On the left, Fermi is unable to distinguish between the two objects, seeing only a single blob of gamma-rays. On the right, e-ASTROGAM, with its superior angular resolution, can tell that the single blob is actually two individual objects. Source: Figure 3 of the paper. In order to see just how well e-ASTROGAM will be able to see these objects, the authors modeled fake observations of dark matter annihilation from an extended halo and from two point sources. They determined for different halo sizes and dark matter particles how well e-ASTROGAM will be able to tell whether an object is one extended source or two points. 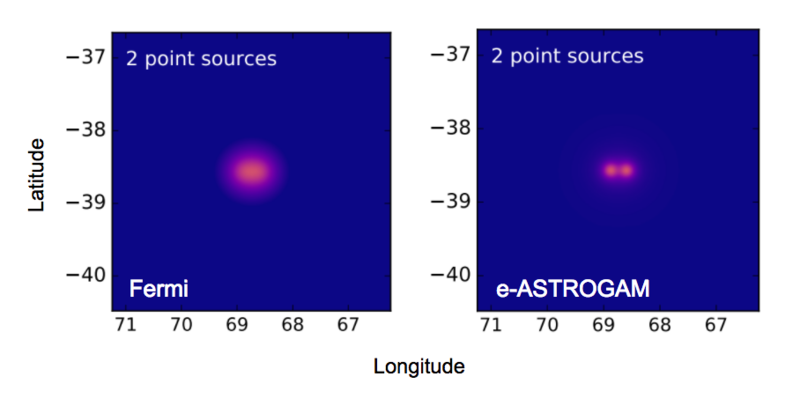 Figure 5 illustrates the difference e-ASTROGAM will make in confirming the nature of these gamma-ray sources. The green and red lines represent how easily Fermi and e-ASTROGAM can distinguish pairs of sources (x-axis) as a function of source brightness (y-axis). e-ASTROGAM reaches much farther along the x-axis, indicating that it can much more easily resolve two point sources. 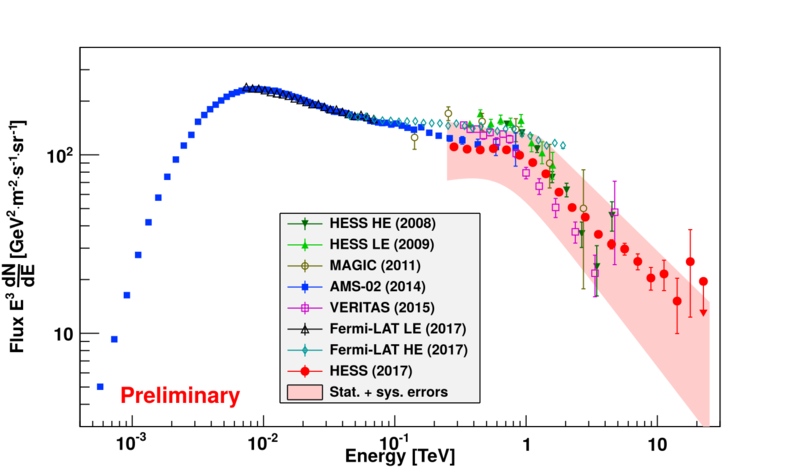 The precise numbers change for different dark matter halos and particles, but in all cases e-ASTROGAM shows a significant improvement over Fermi. Figure 5. This plot illustrates how e-ASTROGAM will be able to help distinguish between extended dark matter halos and two nearby points. The y-axis shows how bright the object in question is, and the x-axis is related to how easily the telescope can distinguish between two nearby points and a single extended object. Even with really bright objects Fermi (green) has a hard time distinguishing between the two scenarios, while e-ASTROGAM (red) can more easily tell the difference. Source: Figure 5 of the paper. A future gamma-ray telescope like e-ASTROGAM will be an essential tool in determining whether Fermi has in fact detected dark matter annihilation from dark halos. In addition to determining whether the two potential halos detected by Fermi are actually just pairs of close-together point sources, e-ASTROGAM may be able to detect gamma-rays from even more dark matter halos that are too faint for Fermi to observe on its own. e-ASTROGAM with its superior angular resolution and lower energy range would provide a brand new view of the gamma-ray universe, giving us unexpected insight into known and unknown sources of gamma-rays, and perhaps finally revealing the nature of dark matter. Cosmic rays are high energy particles that pervade the Galaxy. Electrons represent only a small fraction of cosmic rays, which consist primarily of protons and nuclei. However, they are able to provide us with unique information complementary to what can be learnt from protons and nuclei. Due to the important difference in mass (an electron being about 1800 times lighter than a proton or any nuclei), electrons lose energy much more rapidly while propagating from their sources to Earth. Energy losses occur when the electrons interact with magnetic fields or scatter on ambient light in the Galaxy of different wavelengths: photons from the Cosmic Microwave Background or infrared photons or also photons emitted by stars for instance. Because of the strong radiative energy losses, very-high-energy cosmic-ray electrons can only travel short distances. Therefore, they provide us with information of the Earth’s local surroundings in the Galaxy. For example, electrons with an energy of 1 TeV (*) that reach the Earth are dominated by sources closer than ~1,000 light-years away. In comparison, the distance between the Sun and the centre of the Galaxy is about 24,000 light-year. For electrons with energies beyond 1 TeV, their sources must be even closer still….on our Galactic doorstep! Up to ∼1 TeV, cosmic-ray electrons can be measured using space based instruments such as AMS  or Fermi-LAT . More dedicated space based instruments such as CALET or DAMPE are planning to measure the electron spectrum up to ∼10 TeV and recently CALET presented at this year’s International Cosmic Ray Conference first results up to ∼1 TeV, fully compatible with previous measurements. Above 1 TeV, the flux is very low and the use of ground-based Cherenkov telescopes, which feature very large effective areas, have proven to provide a robust probe of this flux up to high energies. Through measurements by H.E.S.S. 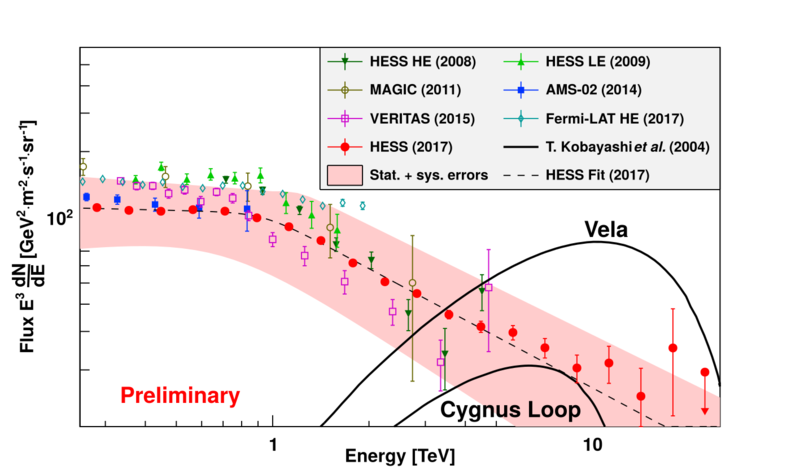 , , MAGIC  and VERITAS , the frontier in the detected energy range of the cosmic-ray electron spectrum has been pushed up to ∼5 TeV. These experiments are designed for gamma-ray observations: they detect gamma-rays through the cascade of secondary particles resulting from the interaction between a gamma-ray and a nucleus in the atmosphere. Their ability to measure electrons comes from the fact that both electrons and gamma-rays, upon their arrival at the Earth’s atmosphere, deposit their energy by the generation of essentially identical types of cascades. The main challenge of a cosmic-ray electron measurement is the distinction between electron and background events. This background can either be gamma-rays (which produce the same type of particle cascades) or protons and heavier nuclei (which massively outnumber the electrons). Since gamma-rays move in straight lines from their astrophysical sources, regions in the sky known for containing gamma-ray sources are excluded from the analysis. 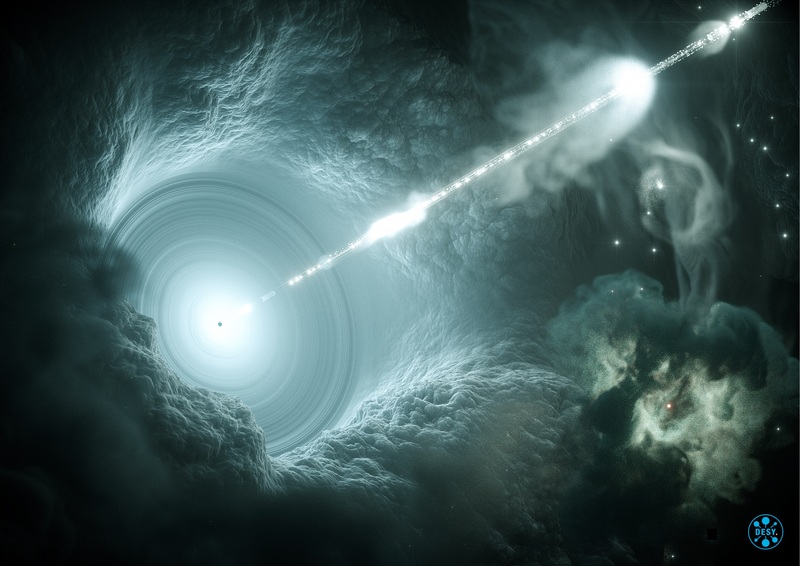 Cosmic-ray protons (and other nuclei) are the vast majority of cosmic rays, and a fraction of them can mimic atmospheric cascades induced by cosmic-ray electrons. Both protons and electrons seem to come from all directions of the sky with no preferred direction — at least to high degree of accuracy. This is due to their electric charge: whatever the sources of these charged particles, the magnetic fields in the Galaxy will affect their trajectories, leading them to a random walk through the Galaxy and eventually arriving at Earth isotropically. Therefore, protons cannot be excluded from the data in a similar fashion as for the gamma-rays. Thus, the distinction between electrons and protons is done using a specific algorithm based on the — sometimes very tiny — difference in shape of the cascades generated by electrons and protons . More than 9 years after the first electron spectrum measurement with H.E.S.S., subsequent observations have increased fourfold the amount of available data. In addition, analysis techniques have improved significantly, leading to a much better suppression of the background of cosmic-ray nuclei. These improvements allow for the first time a measurement of cosmic-ray electrons up to energies of ∼ 20 TeV (see Figure 1). Fig 1: Cosmic-ray electrons energy spectrum measured with H.E.S.S. in 2017 (red dots) compared to previous measurements from various experiments. This new measurement from 0.25 TeV to ∼20 TeV reveals an electron spectrum that can be described by two regimes in the high energy region. The spectrum appears quite regular with a constant slope up to an energy of about 1 TeV. Above this energy the spectrum becomes steeper. This break in the spectral slope is the sign of some different physics phenomenon at play, most probably the transition between a regime where a large number of sources contribute to the spectrum, to a regime where only a few, the closest ones from Earth, are able to contribute. The very high energies reached in this measurement allow to test models of nearby sources of cosmic-ray electrons in which one source is very prominent. These models are very popular since those nearby sources of electrons (mainly pulsars) are often invoked as a possible explanation for the excess of positrons (**) measured by some experiments such as Pamela  and AMS . Pamela, built by the Wizard collaboration, which includes Russia, Italy, Germany and Sweden. The steeply falling spectrum measured with H.E.S.S. from ∼1 TeV to ∼20 TeV allows to reject models with predictions of pronounced features in the spectrum as shown in Figure 2. The black line symbolises the individual contribution of two possible sources (the Vela and the Cygus Loop supernova remnants) for a given model presented in  that is obviously not reproducing the data. Therefore, this new measurement of cosmic-ray electrons reveals not only for the first time the shape of the cosmic-ray electron spectrum beyond ∼5 TeV, but also provides important information on cosmic-ray accelerators in Earth’s local neighbourhood, demanding that very local sources exist. Fig 2: Comparison of the new measurement by H.E.S.S. 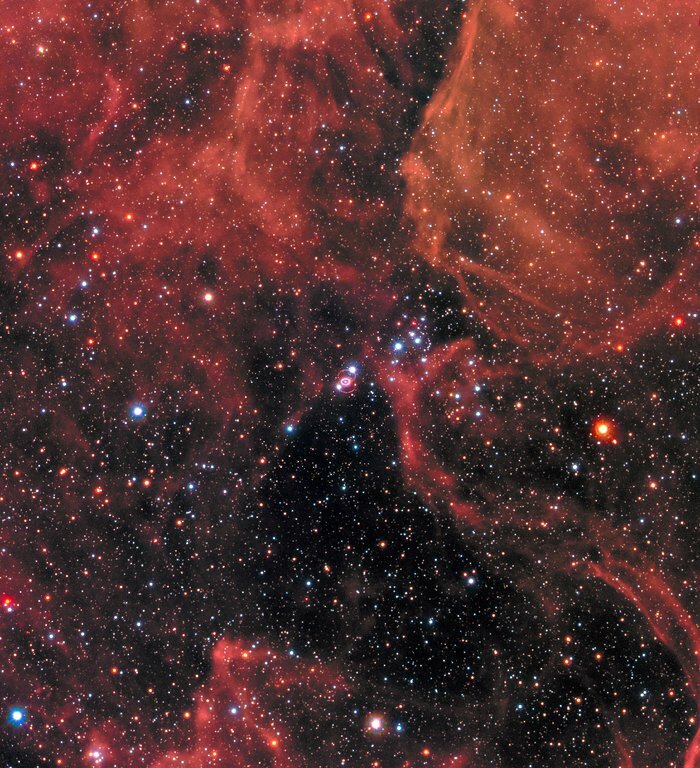 (red dots) with some model predictions for two supernova remnants, Vela and Cygnus Loop (black lines). This specific model is clearly excluded by this measurement since the predicted feature for the Vela supernova remnant is not seen at all. (*) 1 TeV = 1012 eV and one eV (abbreviation of electron-volt) is a unit of energy which, by definition, represents the amount of energy gained by an electron when accelerated by an electric potential difference of 1 volt. (**) The positron is the antiparticle of the electron. Bright thinking leads to breakthrough in nuclear threat detection science. 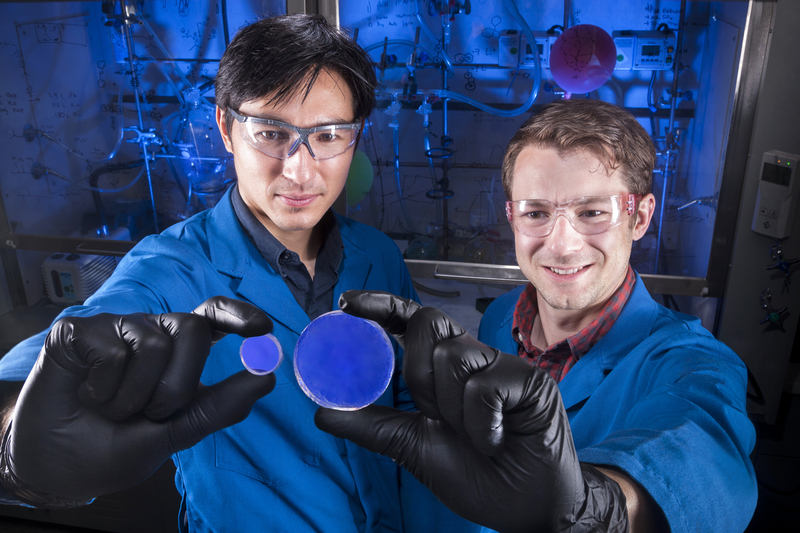 Sandia National Laboratories researcher Patrick Feng, left, holds a trans-stilbene scintillator and Joey Carlson holds a scintillator made of organic glass. The trans-stilbene is an order of magnitude more expensive and takes longer to produce. (Photo by Randy Wong). Taking inspiration from an unusual source, a Sandia National Laboratories team has dramatically improved the science of scintillators — objects that detect nuclear threats. According to the team, using organic glass scintillators could soon make it even harder to smuggle nuclear materials through America’s ports and borders. The team first reported [Science Direct] on the benefits of using organic glass as a scintillator material in June 2016. Organic chemist Joey Carlson said further breakthroughs really became possible when he realized scintillators behave a lot like light-emitting diodes. 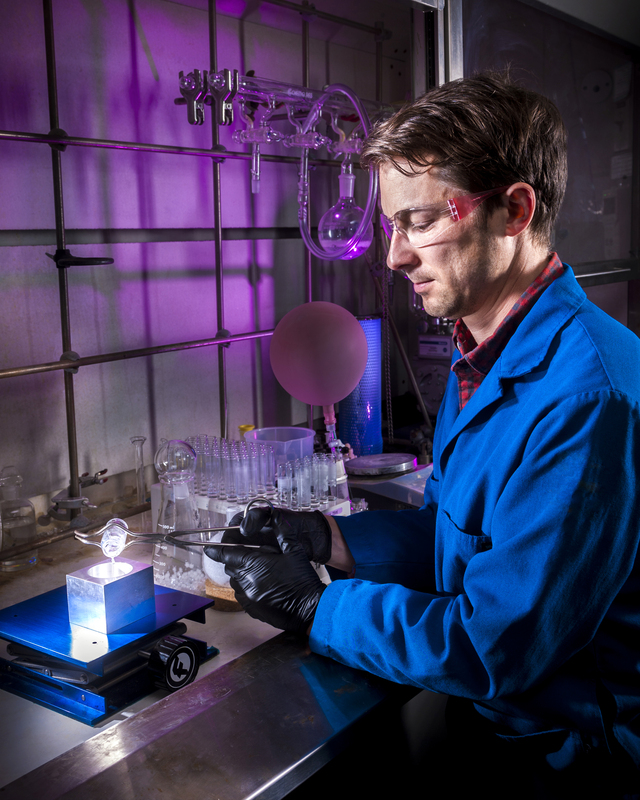 Sandia National Laboratories researcher Joey Carlson demonstrates the ease of casting an organic glass scintillator, which takes only a few minutes as compared to growing a trans-stilbene crystal, which can take several months. (Photo by Randy Wong). Researchers believe that gamma rays — a very energetic form of light — could be produced when hypothetical dark matter particles decay or collide and destroy each other. Fermilab scientist Dan Hooper co-discovered more gamma-rays than he could explain at the center of our own galaxy in 2009 and sparked international interest. Whether dark matter particles or something else is responsible for these gamma rays remains an open and hotly debated question.